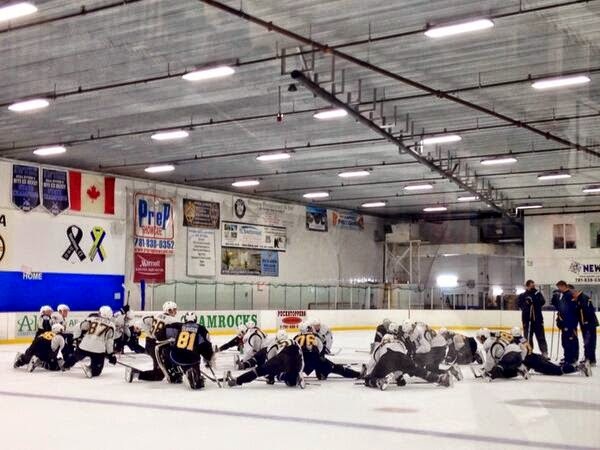 The Bruins began their annual development camp today in front of a decent crowd at Ristuccia Arena in Wilmington. The camp features the B's most promising prospects, with this year's group being headlined by goaltender Malcolm Subban. 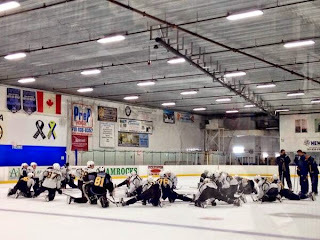 For the complete roster and on-ice practice times, click here. •The majority of the drills worked on breakouts and odd-man rushes. A lot of speed and end-to-end skating during these. •Zane Gothberg was the only goalie on the ice for the first 30 minutes. Malcolm Subban joined the team late, due to dehydration, according to Joe Haggerty. •Both goalies looked solid. Gothberg took the majority of the shots, due to Subban's late arrival. Something I immediately noticed about Subban is the quickness of his glove. He flashed leather multiple times to rob glove-side-high shots. •Swedish defenseman Linus Arnesson was the most impressive player on the ice, in my opinion. He is not known as an offensive defenseman, but has some soft hands. He went backhand-forehand-shelf twice in the breakaway drill and threaded a perfect cross-crease pass to David Pastrnak on a 2 on 2. On the defensive side, he broke up a few 2-on-1's and looked great all-around. •I didn't get to see as much of David Pastrnak's game as I would've liked, but there were flashes of his skill on multiple occasions. He has good puck control and one-on-one skills. He showed off his quick release on the play with Arnesson reference above. Lightning fast catch and release. •North Reading boy Ryan Fitzgerald has quick feet and a dart of a wrist shot. Ripped a shot top right on Gothberg that caused an instant "ohhh" from the crowd. •Matt Grzelcyk was wearing a no-contact merlot jersey, due to the shoulder injury he suffered during this past season at BU. •Camp invite and Cornell product Cole Bardreau, who suffered a neck injury last year, showed great speed on a 2 on 2 in which he burned the defensemen for a scoring chance. •David Pastrnak and Ryan Donato seem to be buddies already. At the end of the practice, they challenged each other in a shootout from the top of the circles on Gothberg, celebrating their goals, and the other's misses. Plenty of laughing and joking around. Promising start to the camp. I am hoping to attend at least a few more practices to get a better look at these players.